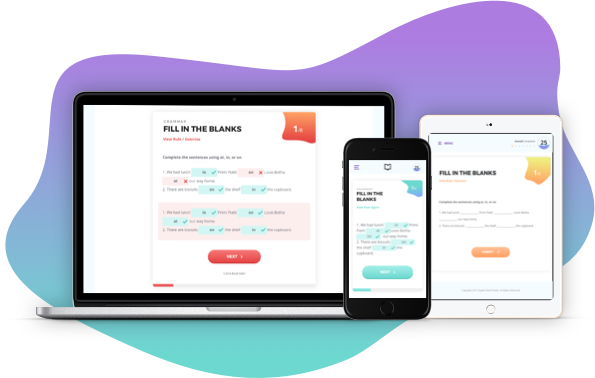 Rekindle English is an online tool that helps learners take their English proficiency to new heights - specifically geared towards matriculants, university students and young graduates. With structured support and assistance, learners are encouraged to work their way to a stronger command of the English language, setting them apart from their peers and helping them excel in the workplace. Now learners can achieve international standards of proficiency in the English language, with absolute confidence. 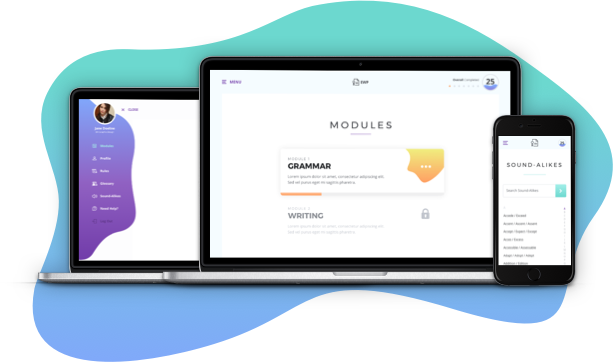 The key to fast and efficient learning lies in our simple-but-effective interface, which provides Rekindle English learners with intuitive navigation and quick feedback. Learners and administrators alike can manage profiles, access their menu and view their progress, instantly, from an easy-to-use dashboard. Rekindle English covers three of the four critical language skills - reading, writing and listening by coaching the principles of grammar and language, expanding vocabulary, and harnessing critical thinking – in line with the Common European Framework of Reference (CEFR) Level C1. Learning activities get progressively more difficult, building confidence before competence. All the while, the learner is continuously supported with a comprehensive glossary, “sound-alikes” to help them remember and improve pronunciation and broader concepts to offer greater context. 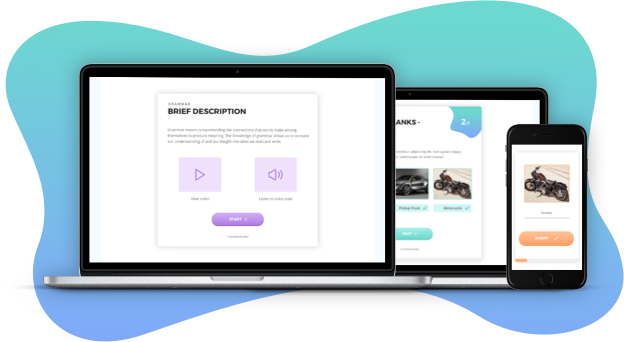 Multimedia content - such as video, audio and varied, interactive question types - can help learners to engage with the course, and caters to a wide variety of learning styles, simultaneously. 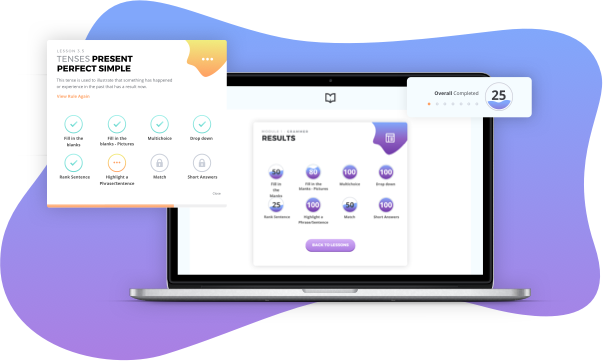 Students are able to view their progress from their dashboard at any time, while tutors and administrators also gain access to this information and receive regular reports to make administration simpler and more efficient. Delivery of the final summative exam is controlled by the educator, who will administer it at a specific time, in a moderated environment. The final mark can, therefore, be used by the educational institution to recognize or accredit learners. The final assessment is controlled by an educator, who will administer it at a specific time, in a moderated environment. Many English courses only provide a basic level of proficiency. Rekindle English helps learners address the language gap between school and tertiary level learning - academic literacy. Achieving greater language proficiency and is an essential empowerment strategy for those looking to complete university degrees or communicate effectively at a managerial or professional level.